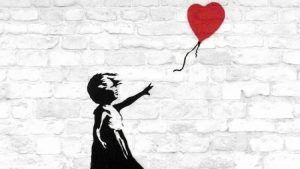 Banksy, an English artist and writer whose real identity is still unknown, is considered one of the most important exponents of contemporary street art. His works often are tinged with satire and treat universal themes, such as politics, culture and ethics. Just like all exhibits dedicated to Banksy, A Visual Protest – The Art of Banksy was not authorized by him since he continues to defend his anonymity and his independence from “the system.” The exhibit has about 80 pieces including paintings, photographs, videos and about 40 pieces of memorabilia (lithographs, stickers, prints, magazines, fanzines, and promotional flyers), and looks retrospectively at his work and thought.